Manager Antonio Conte and his Chelsea side have made history following Saturday’s 0-0 with Leicester City at Stamford Bridge on Saturday. Chelsea, the Premier League title holders, have now recorded three consecutive goalless draws in all competitions. This is the first time of playing out three goalless draws consecutively, in the history of the club after 10-man Leicester left West London with a deserved point. The Blues were unable to break down Championship side Norwich at Carrow Road a week ago in their FA Cup third round tie. 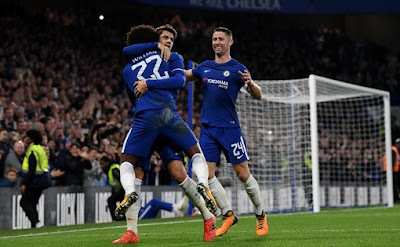 The Italian with his big boys such as Morata and Hazard also failed to fine back of the net against Arsenal in the Carabao Cup at Stamford Bridge in the midweek.